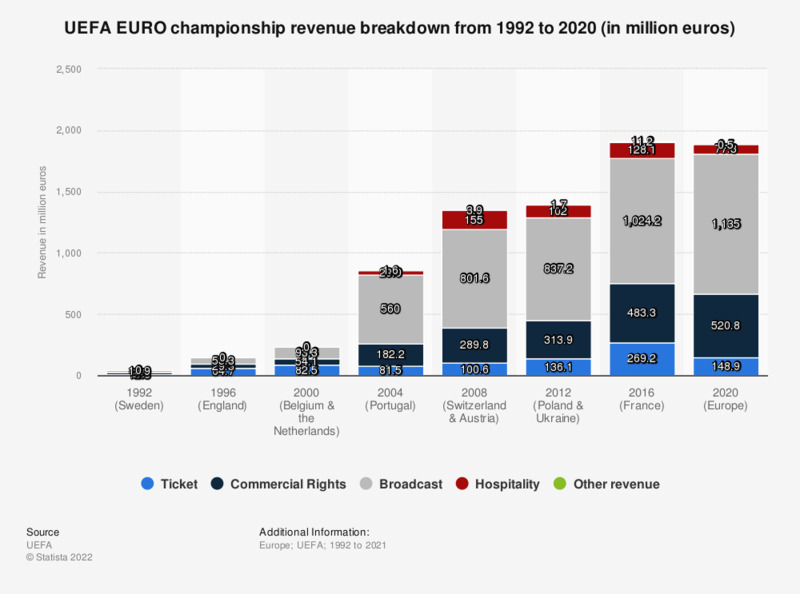 This statistic shows the breakdown in revenue of the UEFA European Championships held from 1992 to 2016. At the UEFA EURO championship in 2012, which was held in Poland and the Ukraine, revenue from broadcasting rights amounted to 837.2 million euros. In the last 7 days, on how many days did you do vigorous physical activity like lifting heavy things, digging, aerobics or fast cycling? Mexico: What sports do you regularly participate in?